We are very excited to welcome José Carbó as co patron of Rockdale Opera Company. It is with great pleasure and pride that I inform you of my decision to wholeheartedly accept the invitation extended to me to become, along with my colleague Daniel Sumegi, co patron of Rockdale Opera Company. I look forward to being able to help in any way I can towards the continued survival, development and success of the company and our beloved art form. 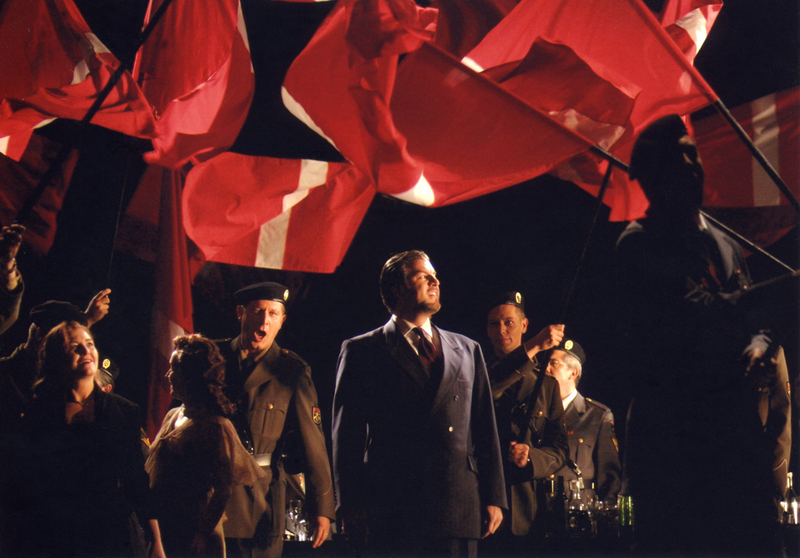 As an up and coming singer, I was fortunate to have performed five roles with the company. Since establishing my professional career, I now consider it an honour and a responsibility to ensure there continues to be a platform which will enable the company to further prosper and adapt to the requirements and demands of present day live operatic entertainment. It is vital we succeed so future generations of singers can continue to have the opportunity and a platform where they can learn their trade and ply their craft and gain much needed and valuable performance experience, as I and all that came before me have had. I have many practical and strategic ideas, some of which involve collective, community based campaigns and initiatives, which I believe can help the company thrive long into the future. Having already met with the committee on a number of occasions, it is clear that we share the same passionate commitment for opera and live performance across a wide range of genres. However, I am aware that this group of dedicated and talented individuals also needs to be supported in every way. I know the company already has a wonderful group of dedicated volunteers prepared to donate their time and expertise towards the execution of the many tasks involved however, in an effort to keep ROC operational and successfully marketed, I believe more are needed. Please consider this gracious introductory letter as a “call to arms” for the sake of our company. I have no doubt that together with our committee we can all make a difference, not only to the bottom line of the company but also help establish a resurgence of this wonderful art form within the cultural fabric of our extended community. I invite you all, along with Daniel Sumegi and our committee, to be part of these very exciting and promising future initiatives. It is with great pleasure that I welcome the news that internationally renowned Australian baritone José Carbó will join me as co-patron of Rockdale Opera Company. 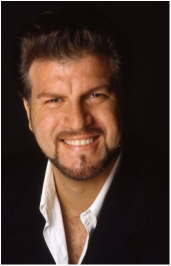 Following José’s spectacular début with Opera Australia, in Strauss’ Ariadne auf Naxos (in 2002) he has performed in major Opera houses throughout Europe and America. He made his European début in Italy in 2005 at the Teatro dell’ Opera di Roma where he sang the title role in Le Nozze di Figaro. That same year, he sang the title role in Il Barbiere di Siviglia for the Teatro Real in Madrid. He made his La Scala debut in 2009 in Il Viaggio a Reims and his American debut in 2011 as Rossini’s Figaro in Seattle. He has returned to perform in Australia on many occasions since establishing his international career. His roles for Opera Australia have included, Anckarström in a new production of Un Ballo in Maschera, Fritz in Die tote Stadt (for which he received the Helpmann Award in 2013), the title role in Rigoletto, Germont in La Traviata, Rodrigo in Don Carlo and most recently, Zurga in The Pearl Fishers. José’ has also performed with the major orchestras in Australia and New Zealand. 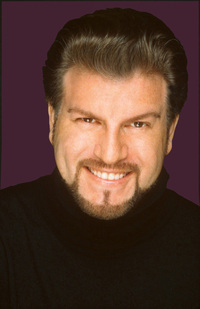 His debut album, My Latin Heart (recorded with Slava and Leonard Grigoryan and released by ABC Classics) debuted at No. 1 on the Limelight Magazine Classical Music charts. Like me, José performed with the Rockdale Opera Company in his early years and understands the importance of supporting community arts organisations, like Rockdale Opera Company, which provide invaluable performance opportunities and experience to young developing artists as they work towards building their professional career. His passion for his art, his extraordinary talent and generosity of spirit will be a fabulous asset to the Company and I look forward to working with him in furthering the aims and objectives of Rockdale Opera Company. I'd like to invite you to our second fully-staged offering for 2015, Mozart’s eternally charming The Marriage of Figaro. The production team are hard at work, and have assembled an excellent cast, headed by the very talented “bridal couple” Phoebe-Celeste Humphreys and Daniel Macey. Your ongoing support of Rockdale Opera and its commitment to providing community-based classical music is highly appreciated. We do not take it for granted, and we could absolutely not continue without your attendance. Rockdale Opera has provided a stepping stone to many of Australia’s most beloved singers, and we endeavour to continue that tradition. Spread the word. Daniel Sumegi announced as our Patron! We are delighted to announce that world famous bass-baritone Daniel Sumegi has agreed to be our Patron. “I am delighted to have been asked to be the Patron of Rockdale Opera Company" said Daniel. "As Australia’s oldest opera company, it has provided a much needed platform for young aspiring professionals to ‘tread the boards’ alongside the people that make up the bulk of the company - the true opera lovers. I made my solo debut at Rockdale 31 years ago as Fiorello in The Barber of Seville alongside the beautiful Deborah Riedel. Having then sung in four other productions with ROC in my early days, I moved out into the wider vocal world - where I have proudly been singing professionally since 1988”. “Rockdale Opera Company is very much a community organisation and has been generously supported by the Rockdale City Council for many generations. It is my sincere wish to help widen our profile and facilitate more engagement with other relevant performing arts bodies in Sydney and beyond. The word ‘Rockdale’ resonates so powerfully throughout the operatic family and I sincerely hope this invaluable cornerstone of our culture continues to flourish” Daniel said. Daniel has had a spectacular career, having sung some 100 Roles in opera houses all over the world, including New York’s Metropolitan Opera, the Paris Opera, Hamburg State Opera, Teatro Colon Buenos Aires and Tokyo’s New National Theatre. 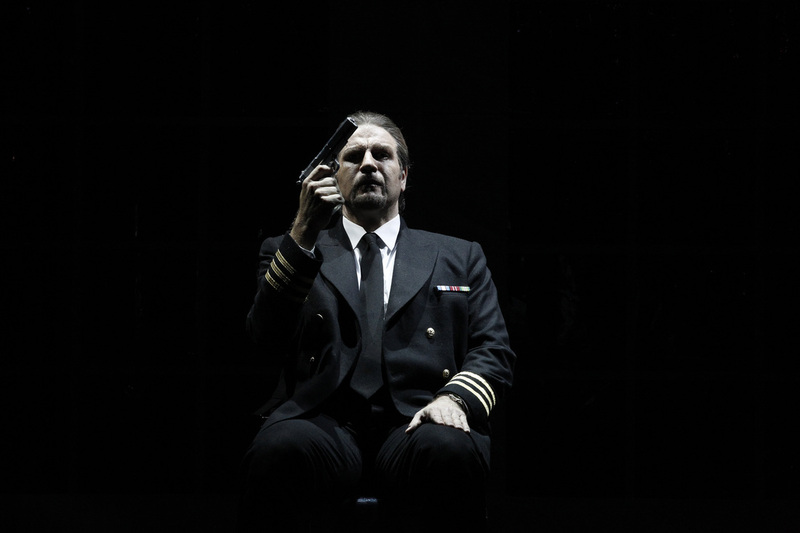 He has been a regular at Opera Australia since his debut there 20 years ago. Regarded as much for his acting as his voice, he has an extremely versatile repertoire, having encompassed the Baroque repertoire through to taking part in current World Premieres. Wagner and Strauss have been the major part of his musical diet, but he is no stranger to Beethoven, Mozart or Shostakovitch, among the many other composers whose music he has performed over the past 30 years. 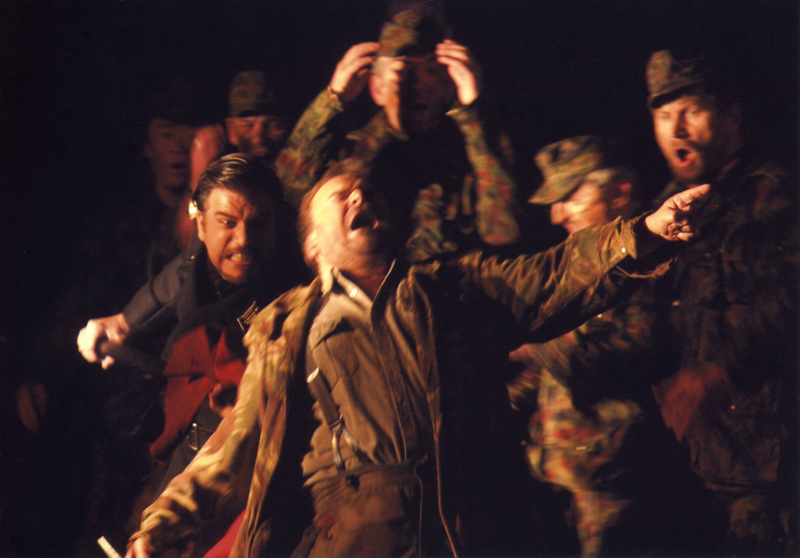 Last season Daniel Sumegi took part in Opera Australia’s first ever complete Ring Cycle, as Fasolt and Hagen, for which he was nominated for a 2014 Helpmann Award, and also performed for them as Sparafucile in Rigoletto and Prince Gremin in Eugene Onegin. 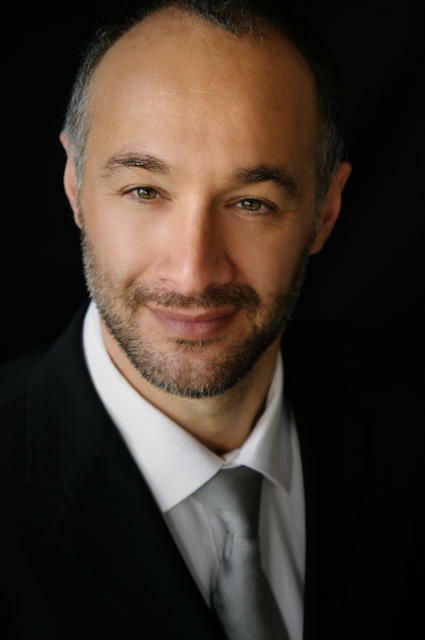 He returned to Los Angeles Opera for Billy Budd, as Mr Flint, and recently completed engagements for West Australian Opera, as Sarastro in Magic Flute and West Australian Symphony Orchestra as soloist in programs of Brahms’ Four Serious Songs and Rossini’s Stabat Mater. He also portrayed the role of Death in Emperor of Atlantis for Lost and Found Opera. In August 2014 he made his role and company debut in concert with Victorian Opera, as Oroveso in Norma, before making his Hong Kong Opera debut as Jokanaan in Salome. In 2015 Daniel Sumegi will take part in the world premiere of The Manchurian Candidate for Minnesota Opera from the same team that created the Pulitzer Prize winning Silent Night. He will also return to Opera Australia for Sarastro in Julie Taymor’s award winning Magic Flute as well as the Grand Inquisitor in Elijah Moshinsky’s sumptuous production of Don Carlo. Rockdale Opera Company’s artistic director Ralph Bott said “we are honored to have one of Australia’s most successful opera singers agree to be our patron, this is a real coup for our company”.